Collectors of period fashion know that it can often be more difficult to find excellent examples of day wear than special occasion pieces. Everyday clothing was generally worn until it was in poor condition and was discarded. 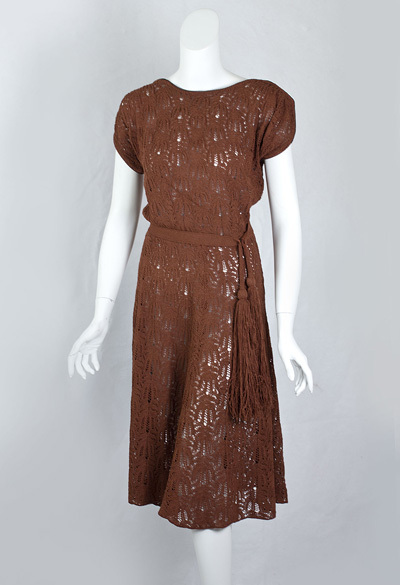 Our knitted dress is a special find. 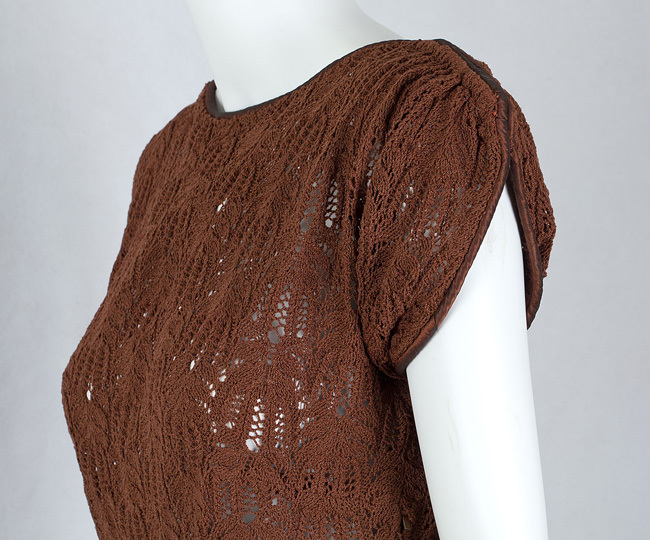 The lacy, open pattern of the brown cotton raschel knit is exceptionally pretty. 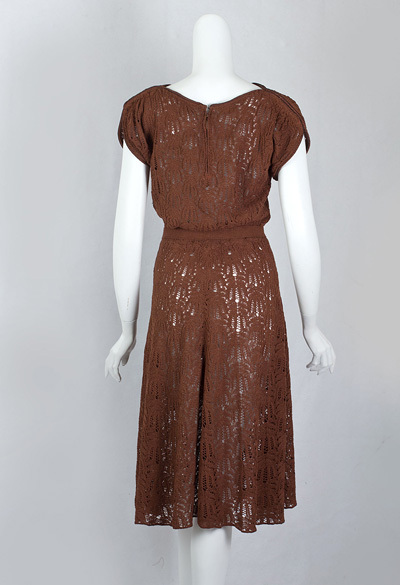 The dress personifies the WWII period with exaggerated shoulders and short sassy skirt. It closes at the back neckline and on the side with metal zippers. 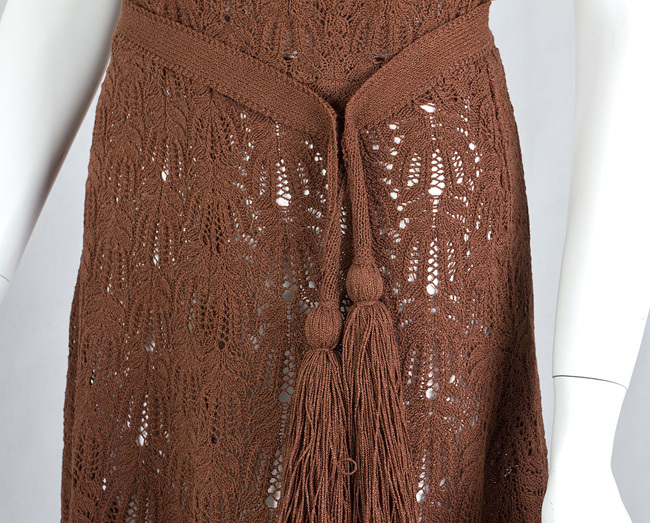 The matching sash, which closes with a hook, is backed with gros grain ribbon. The condition is excellent and all original. It measures: 38" bust, 28" waist, 42" hip, and 46 1/2" from shoulder to hem.